How to Decrease iSCSI Login Timeout on ESXi 5? You are here: Home / Uncategorized / How to Decrease iSCSI Login Timeout on ESXi 5? VMware recently identified an issue where the iSCSI boot process may take longer than expected on ESXi 5. This can occur when the iSCSI targets are unavailable while the ESXi host is booting up and the additional retry code that was added in ESXi 5 can cause a delay in the host startup. It has been noted that the number of retry iteration has been hard coded in the iSCSI stack to nine and this can not be modified. Being the curious person that I am, I decided to see if this hard coded value can actually be modified or tweaked. I believe I have found a way to decrease the delay significantly but this has only been tested in a limited lab environment. If you are potentially impacted by this iSCSI boot delay and would like to test this unsupported configuration change, I would be interested to see if this fact reduces the timing. My initial thought was check out the iscsid.conf configuration file, but noticed that VMware does not make use of this default configuration file (not automatically backed up by ESXi), instead it uses a small sqlite database file located in /etc/vmwre/vmkiscsid/vmkiscsid.db. Since the vmkiscsid.db is actively backed up ESXi, any changes would persist through system reboot and does not require any special tricks. UPDATE: Thanks to Andy Banta's comment below, you can view the iSCSI sqlite database by using an unsupported --dump-db and -x flag in vmkiscsid. 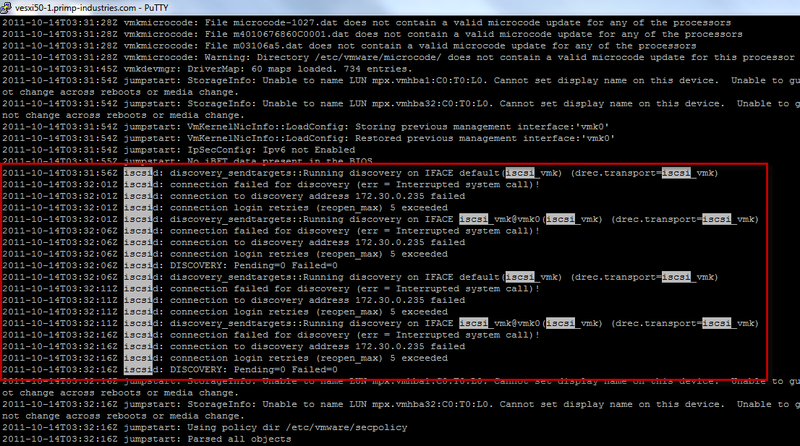 vmkiscsid -x "select * from discovery"
Again, this is an unsupported flag by VMware, use at your own risk but it does save you from copying the iSCSI database to another host for edits. To view the contents of the sqlite file, I scp'ed the file off to a remote host that has sqlite3 client such as the VMware vMA appliance. 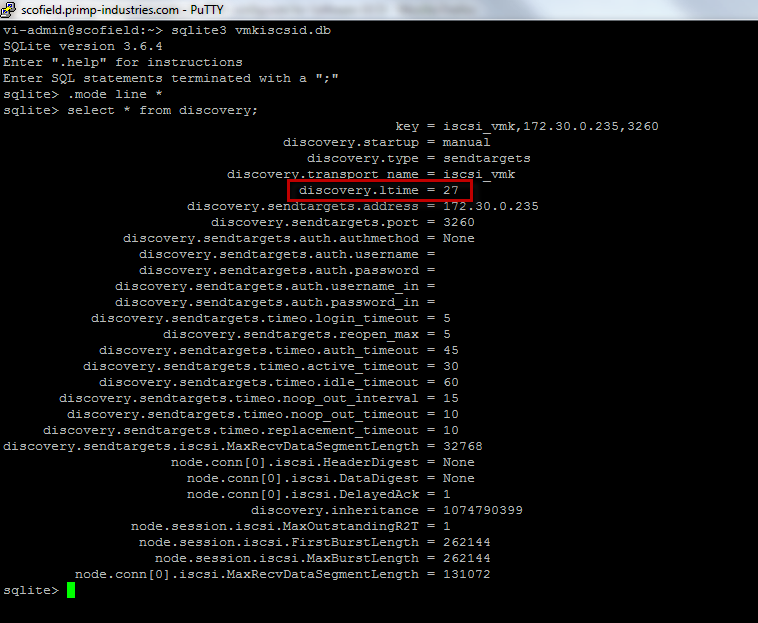 After a bit of digging with some trial and error, I found the parameter discovery.ltime in the discovery table would alter the time it takes for the iSCSI boot up process to complete when the iSCSI targets are unavailable during boot up. Before you make any changes, make a backup of your vmkiscsid.db file in case you need the original file. The default value is 27 and what I have found is that as long as it is not this particular value, the retry loop is not executed or it exits almost immediately after retrying for only a few seconds. Once you have confirmed the change, you will need to type .quit to exit and then upload the modified vmkiscsid.db file to our ESXi 5 host. Next to ensure the changes are saved immediately to the backup bootbank, run the /sbin/auto-backup.sh which will force an ESXi backup. At this point, to test you can disconnect your iSCSI target from the network and reboot your ESXi 5 host, it should hopefully decrease the amount of time it takes to go through the iSCSI boot process. As you can see from this screenshot of the ESXi syslog.log, it took only 15 seconds to retry and the continue through the boot up process. In my test environment, I setup a vESXi host with software iSCSI initiator which binded to three VMkernel interfaces and connected to ten iSCSI targets on a Nexenta VSA. I disconnected the network adapter on iSCSI target and modified the discovery.ltime on ESXi host and checked out the logs to see how long it took to get pass the retry code. As you can see, only the value of 27 causes the extremely long delay (7 minutes in my environment) and all other values all behave pretty much the same (15secs roughly). VMware did mention hard coding the number of iterations to 9 and when you divide 27 into 9 you get 3. I tried using values that were multiple of three and I was not able to find any correlation to the delay other than it not taking as long as using the value 27. I also initially tested with 5 iSCSI targets and doubled it to 10 but it did not seem to be a factor in the overall delay. I did experiment with other configuration parameters such as node.session.initial_login_retry_max, but it did not change the amount of time or iterations of the iSCSI retry code. Ultimately, I believe due to the hard coding of the retry iterations, by modifying discovery.ltime it bypasses the retry code or reduces the amount of retry all together. I am not an iscsid expert, so there is a possibility that other parameter changes could decrease the amount of wait time. UPDATE: Please take a look at Andy Banta's comment below regarding the significance of the value 27 and the official definitions of the discovery.ltime and node.session.initial_login_retry_max parameters. Even though the behavior from my testing seems to reduce the iSCSI boot delay, there is an official fix coming from VMware. I would be interested to see if this hack holds true for environments with multiple network portals or great number of iSCSI targets. If you are interested or would like to test this theory, please leave a comment regarding your environment. discovery attempts have been exhausted. lot of time doing that. There a fix in the code at this point and the fix is in QA. 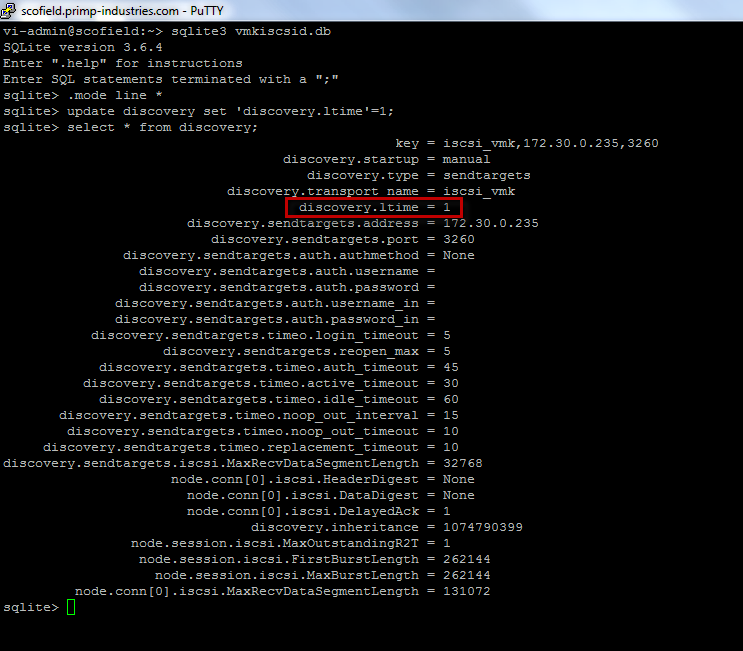 Thanks for the clarification on the discovery.ltime parameter. Even though from my testing, the behavior seems to decrease the iSCSI boot delay, I’m glad an official fix is on it’s way. 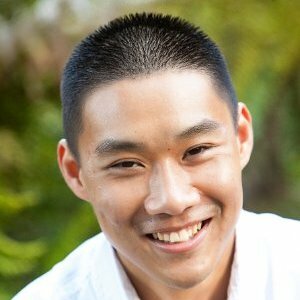 @Andy, Have you any visibility as to when the official vSphere5 patch should be available? Even with the patch applied, ESX 5.0 boot is still delayed with trying to access a (rarely) used CD-ROM player. If you’re still having issues, please file an SR with VMware support, this blog is not a support channel.